So you don’t have to reach for your wallet just yet… First I want to give you great value for free because, to be honest, I HATE to see ugly, not optimized websites and I want to help you skip the mistakes most people do. And then you be the judge. Is it overwhelming to try to remember everything you have to check when you build a website? It definitely was for me. So I made a checklist. I LOVE checklists. They save us time and effort and the results we achieve are better most of the times. 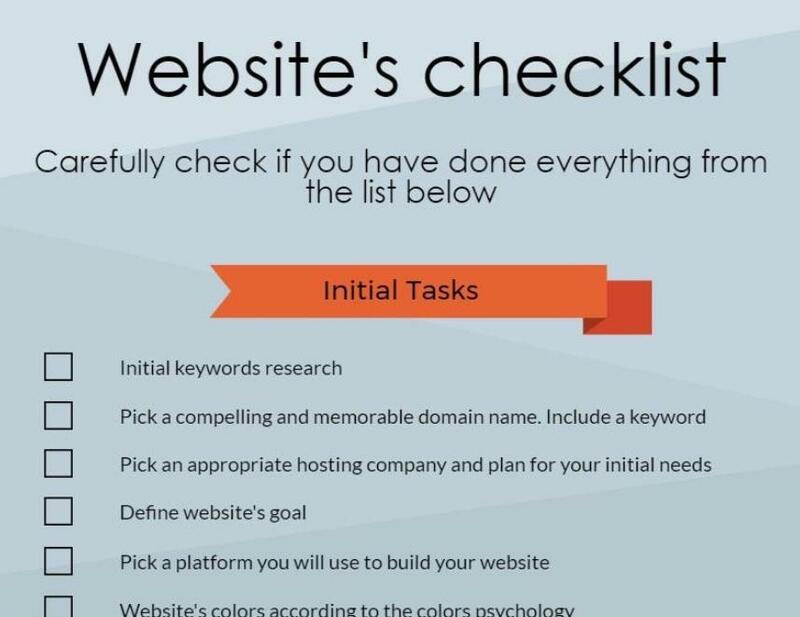 You can always add more elements to the checklist as this one includes the basic stuff you have to accomplish. 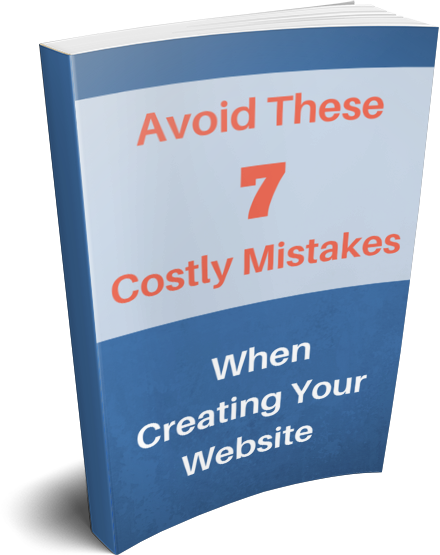 Free Guide "Avoid There 7 Costly Mistakes When Creating Your Website"
Now you have this guide to show you what you should and you shouldn't do when creating your website. This FREE PDF guide will save you a lot of your money, time and sanity. So if you want to build a website or you already have one but you are not completely happy with the results, download the guide and check whether you are making one of these 7 costly mistakes. You will also find tips how to fix these mistakes inside. These tips are easy to implement, even if you don't have any technical skills. Actually I will do my best to make 90% of my materials for free so don’t forget to subscribe for it.